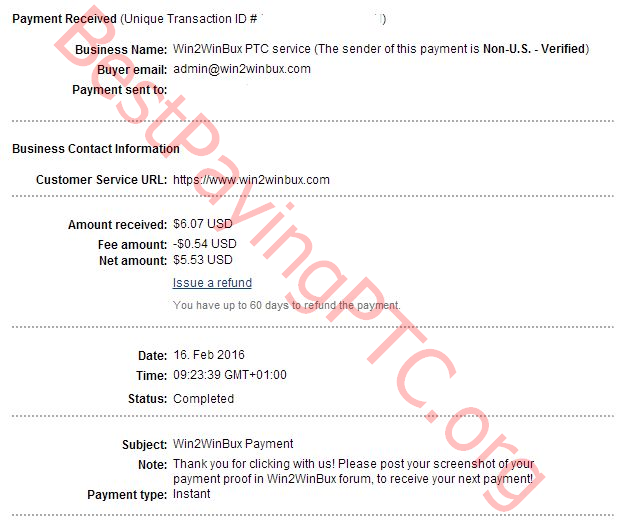 We just have received a proof of payment for Win2WinBux (win2winbux.com PTC Advertisements, WinClix grid game, Revenue Share, PTSU, Point Contests and more) for the amount of $6.07, paid in 2 weeks via Paypal on the 16th February 2016. Thanks for your screenshot and Congrats for your earnings ! 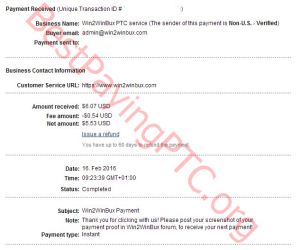 Check out the Win2WinBux Review for more information.